Veazey found what he was looking for in this majority-black village of grand houses, gated mansions and a world-class golf course: Olympia Fields has a black homeownership rate of 98 percent. It is one of only a handful of sizeable, majority-black communities in the United States where the black homeownership rate exceeds 80 percent. Nationally, the black homeownership rate is only 41 percent — virtually unchanged from 50 years ago, when the federal Fair Housing Act banned racial discrimination in housing. The national white homeownership rate is 71 percent. 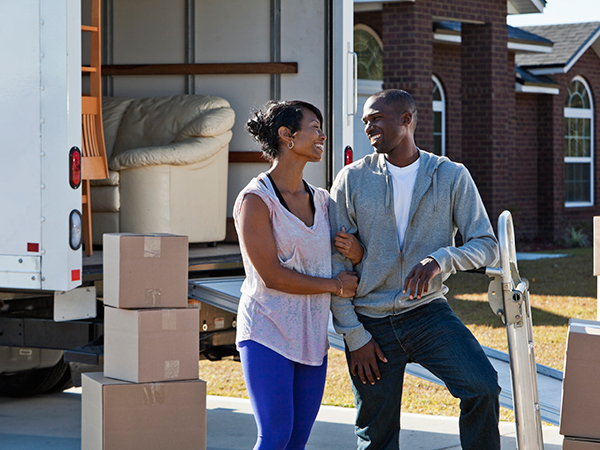 Incredibly, the gap between black and white homeownership rates is wider now than it was in 1900, according to a study released in April by Zillow, an online real estate company. Four other black-majority municipalities with homeownership rates of at least 80 percent — Flossmoor, Lynwood, Matteson and South Holland — also are suburban communities south of Chicago, within a few miles of Olympia Fields. That is no accident: In the 1990s, a group called Diversity, Inc. helped to boost black homeownership in the area by sending black and white buyers to home sellers to ferret out discrimination, and filing lawsuits when they were treated differently. “Areas with high levels of African-American homeownership generally have very active fair housing and social justice activity. You will find a history of active organizing and engaging,” said Lisa Rice, president of the National Fair Housing Alliance. In some other suburban outliers, however, the black homeownership rate of 80 percent or more is less about activism than about the migration of middle-class families — both black and white — out of nearby cities. Lathrup Village, north of Detroit, and Pleasant Grove, Alabama, near Birmingham, were mostly white in 1990 but are now majority black. Oakwood, Ohio, also was mostly white in 1990, though it was marketed to working-class Cleveland blacks as an alternative to city living as early as the 1920s. Forest Heights, Maryland, also has a black homeownership rate that exceeds 80 percent, though it has been majority black for decades. Lathrup Village was originally a white middle-class enclave surrounded by the mostly Jewish city of Southfield in suburban Detroit, said Nik Banda, a former Southfield city planner. “When Detroit went down the toilet, African-Americans came here for the good schools. Later after the Gulf War, Iraqis came here too,” Banda said. Local leaders made a point of welcoming all races to avoid white flight, he said. Black success in Pleasant Grove is especially striking, since it used to be an all-white, working-class suburb, a “sundown town” where blacks were in danger if they remained after dark, according to James Blacksher, a Birmingham civil rights attorney. White flight in the area was amplified by a 2011 tornado that destroyed many homes, he said. Historically, the relatively low black homeownership rate is largely the result of redlining and other discriminatory lending practices. In the three decades following passage of the Fair Housing Act, the black homeownership rate rose by almost six percentage points. But the rate declined by two percentage points between 2000 and 2010, as blacks benefitted less than whites from the post-9/11 economic recovery. The rate fell further in the wake of the Great Recession. Compared to whites and Asians, a higher percentage of blacks bought homes at the peak of the housing bubble, and many had subprime mortgages, even though they could have qualified for prime loans. The subprime lending debacle dashed the homeownership dreams of many black families in suburbs less affluent than Olympia Fields, said Chris Herbert, managing director of the Joint Center for Housing Studies of Harvard University. But some see these relatively small pockets of black affluence as seeds for future success. “Those are the areas we need to focus on. There’s some strength there,” said Andre Perry, a fellow at the Brookings Institution who is planning a study on how black-majority cities can emerge on the edges of major metropolises. Prince George’s County, Maryland, home to Forest Heights, may be an advanced example, Perry said, because it includes so many affluent areas that have been majority black for decades. Sandra Finley said she was an early beneficiary of Diversity Inc.’s anti-discrimination efforts. When she and her husband were trying to move out of Chicago in the 1990s, the group helped the couple sue a home seller in Flossmoor. She lost that case, but she ended up buying another home in the same suburb, where they raised their three boys. “It was tough at first. But we were city people and we were tough,” said Finley, who now lives in Olympia Fields. Finley, who heads the League of Black Women in Chicago, said she found inspiration in the natural beauty of the area, including a pond and fountain outside her home office window. Olympia Fields is one of the wealthiest and best-educated black-majority municipalities in the country. It is one of only two sizeable black-majority cities where median household income is more than $100,000 (the other is Bowie, Maryland). More than half of Olympia Fields residents have a college education, exceeded (among black-majority municipalities) only by its neighbor, Flossmoor, and Lathrup Village in Michigan. But the cost of successful integration and diversity has been stagnant prices: Olympia Fields is one of the few places in the country where home values are still below 1990 levels, according to Federal Housing Finance Agency data. Nationally, home prices have roughly doubled during that time. Undervalued housing is a problem for majority-black areas, said Alanna McCargo, a policy researcher at the Urban Institute who worked on a study of black home ownership released in February. “When you look at how housing prices have changed over time in black areas as compared to white areas, there’s an inequity that’s really inexplicable,” McCargo said. McCargo said even affluent black-majority areas can have a hard time getting businesses, good stores and restaurants, a complaint echoed by Burke and other Olympia Fields residents. A civil rights lawsuit was filed in 2016 against Oakland County, Michigan, home of Lathrup Village, charging that majority-black communities in the county had suffered lower property values because of inadequate economic development. Sterling Burke, a retired IBM engineer who is president of Olympia Fields, blames lingering racism among home buyers for the stagnant prices in his community.